Sweet yeast breads are often associated with religious festivals; think of the hot cross buns we devour here in the UK at Easter. At Christmas, our European friends enjoy this kind of bread, while our special treats tend to be based on mincemeat; here are two examples of Christmas sweet breads: panettone and stollen. For many people, whether from Italy or not, pannetone is a vital part of the Christmas tradition. Panettone is a sweet yeast bread, made in a special tall mould or deep cake tin, and seems to provoke love/hate reactions (rather like Marmite!). It usually looks beautiful, studded with candied or dried fruits, and I think needs to be drunk with a sherry or dessert wine to bring out the flavours, though some people like it with mascarpone. Perhaps both would be ideal? (Now there’s an idea). 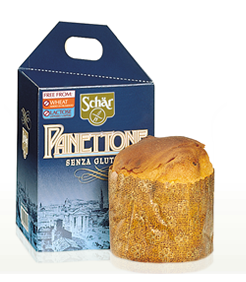 Schaer have been producing a gluten free panettone for a few years now – in two varieties, one with and one without chocolate chips – and the plain version is available in Sainsbury’s. Yes, we’ve bought one. (Note: this one is also free from lactose). I’m interested that Schaer have made one with chocolate chips, and not with dried fruits, because I thought the traditional panettone have fruit in them. But I’ve never seen their chocolate chip one on a Sainsbury’s shelf. And how about stollen? Another sweet yeast bread, this time from Germany, and again, this is a significant part of the Christmas tradition. 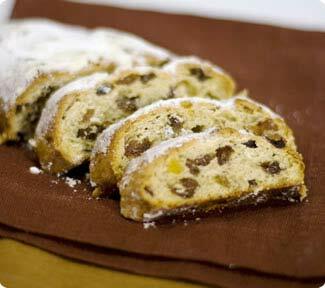 This one too, is made with candied or dried fruit, nuts and spices, and often with marzipan too (we love marzipan here). Schaer is really making alot of appearances here in the US, and I’m glad for it. I can almost always depend on finding it in markets no matter where we travel. Their water crackers are my favorite, next to Mary’s Gone Crackers! It’s good when you can rely on finding things you can eat when you travel, isn’t it? I don’t think we’ve tried their crackers yet, so thanks for the recommendation; we’ll give them a try. 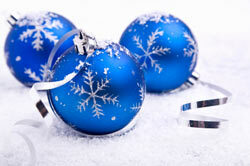 Coori sell two types of panettone online: traditional and choc-chip.